Last week, Ayr United Football Academy hosted February’s session of Football Memories in the Ally MacLeod Hospitality Suite, Somerset Park, supported by Alzheimer’s Scotland, SFA, Scottish Football Museum and VASA. Over 65 guests attended the session, including regulars of Walking Football, Ayr United Strollers Walking Group and past Football Memories events. 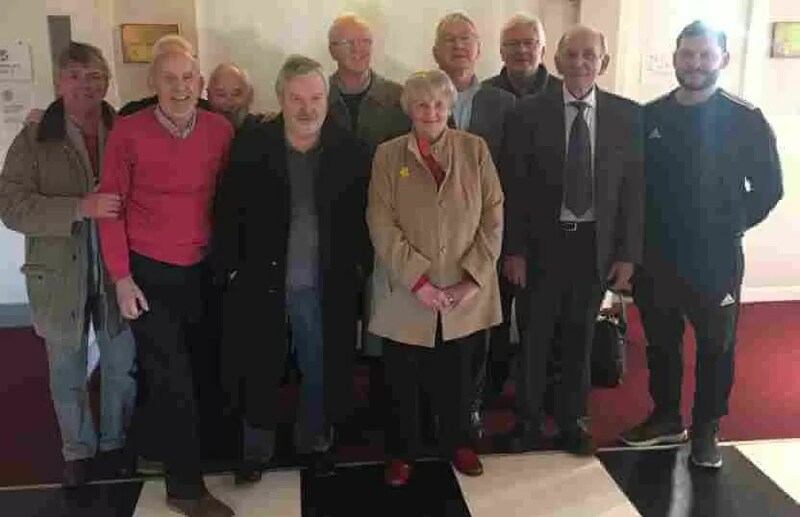 There were also some special guests in attendance, Faye MacLeod (wife of the late, great Ally MacLeod), Lisbon Lion star, Stevie Chalmers and two Ayr United Legends, Davy Wells and Sanny McAnespie. During the afternoon, the guests were treated to some brilliant stories on the history of Ayr United. The session started with Football for Life member, Eric Belton, showing some special photographs of Somerset Park, including memorable events that happened. On each photograph, the guests were encouraged to have a think about what was special about each photo before the answer was revealed on the screen. 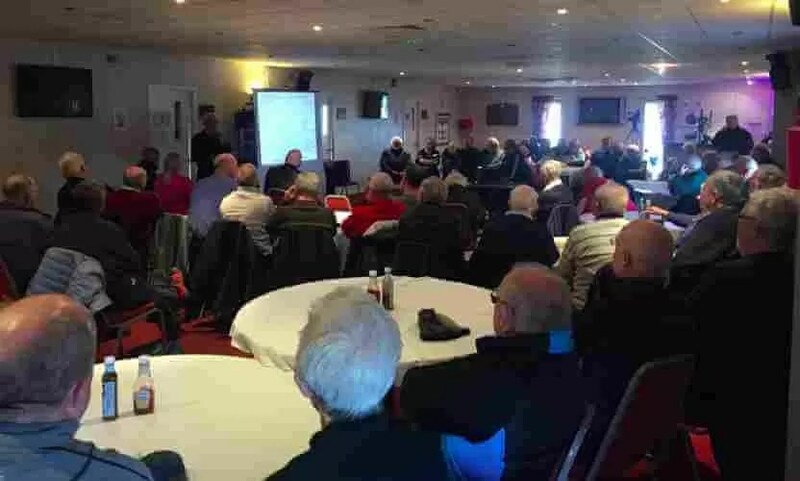 After the photographs, a short film was shown to the group, which was of two long-time fans of the club, Jim O’Neil and Jim Ireland, and another who actually helped build parts of Somerset Park, John Clark, reminiscing about their favourite memories of the stadium and the teams they watched over the years, including their favourite players. The video finished off with Jim O’Neil reciting one of his brilliant Ayr United poems. This was followed by the break, where everyone had the chance to grab a pie and a cake. During the break, a short quiz was handed out to each table with the questions being either fill in the missing word or anagrams, relating to the advertising boards surrounding the pitch at Somerset Park. After the break, the guests were treated to some short videos of special people, currently at the club, Jeanne Kerr of the Club Shop and Five-Star Lottery, and Lewis Grant, Managing Director, sharing their favourite memories of the club, their favourite players and why they chose to support Ayr United. The last video of the day was of the two Ayr United Legends, Davy Wells and Sanny McAnespie, reminiscing about their days at Somerset Park and sharing some brilliant stories including, Johnnie Grant missing the team bus to Tynecastle and ended up getting a taxi. As the afternoon drew to a close, an Ayr United Centenary Montage was shown on the screen as the guests started to leave, all having enjoyed a brilliant afternoon of Football Memories. ← AUFA Women and Girls Club are recruiting COACHES now!